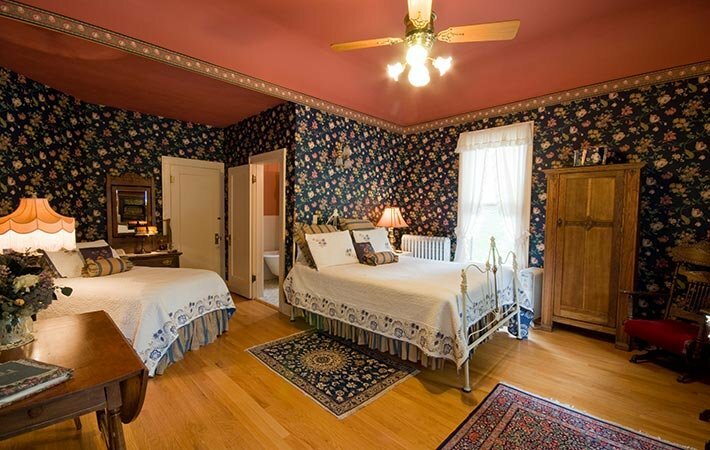 All of our guest rooms at the Voss Inn are decorated with period antiques and fine linens in keeping with the Victorian era of the house. Nevertheless, we do live in the 21st century and are accustomed to modern conveniences. 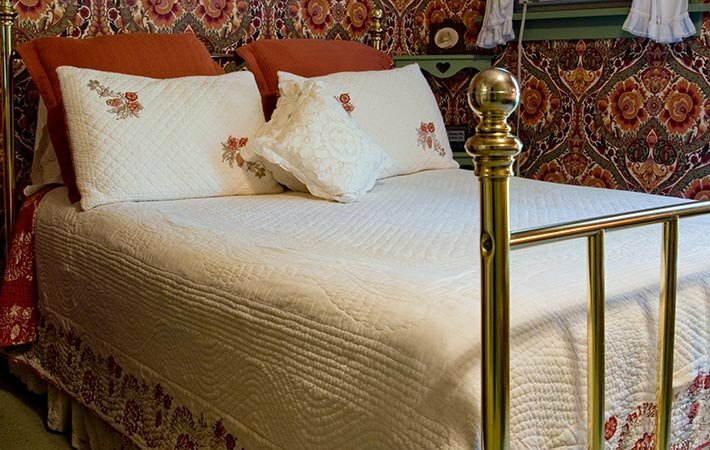 All of the rooms of our Bozeman MT lodging have private baths with bathtub and shower and are equipped with hair dryers, shampoo, bubble bath and body lotion. 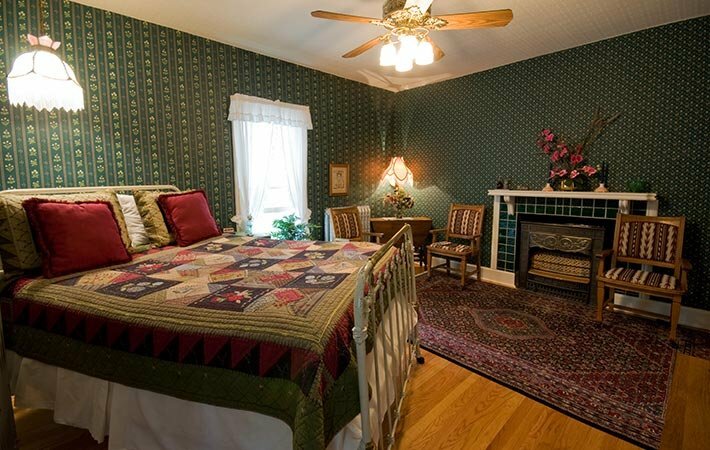 Four of the rooms have air conditioners and the two that do not have ceiling fans. 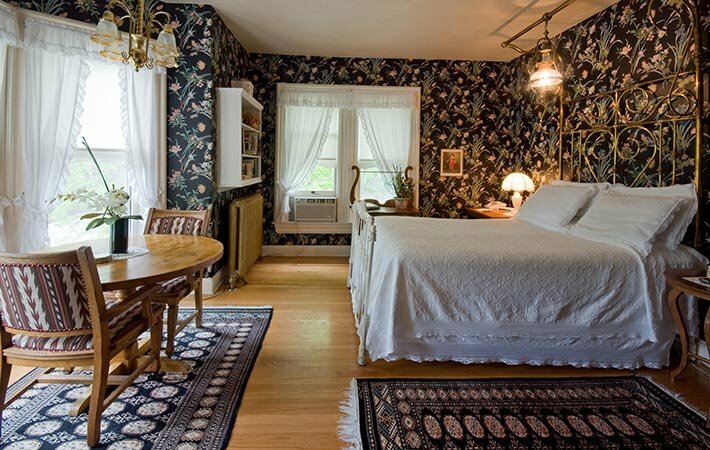 We offer our guests the opportunity to eat breakfast privately in their rooms if they prefer peace and quiet rather than socializing in the morning, so all rooms have dining tables that can also be used as desks for our business travelers. 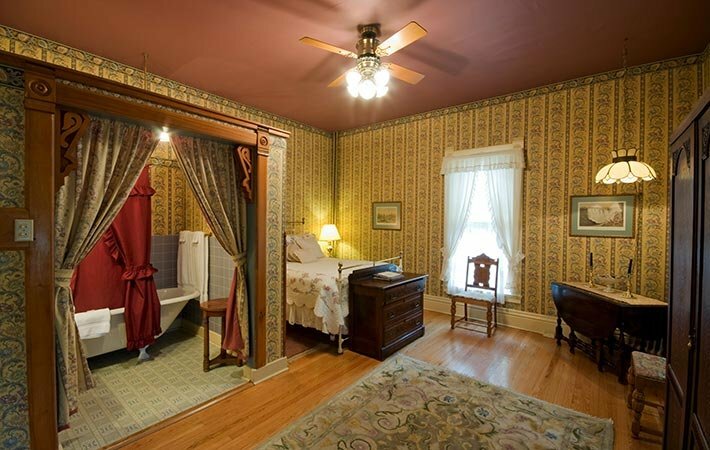 All rooms have telephones and free Wi-Fi. 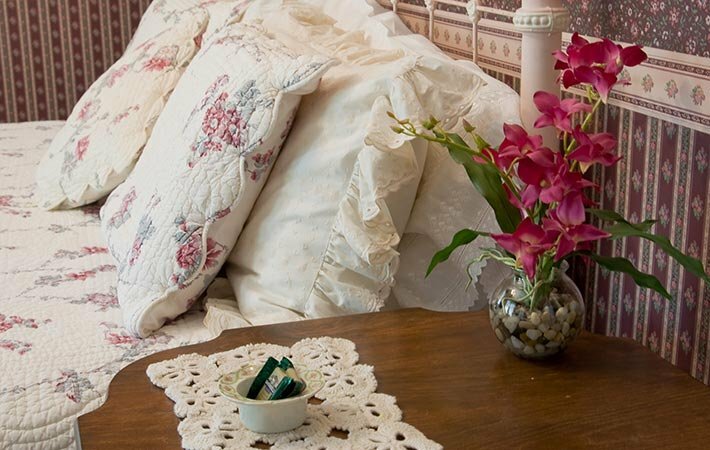 We have tried to think of everything to make your stay comfortable and enjoyable at our Bozeman MT bed and breakfast in the spirit of gracious living reminiscent of a bygone era!